This trip to the northwest highlands of Mai Chau offers a balance of cultural interest and physical activity, set amongst some of northern Vietnam’s most stunning scenery. 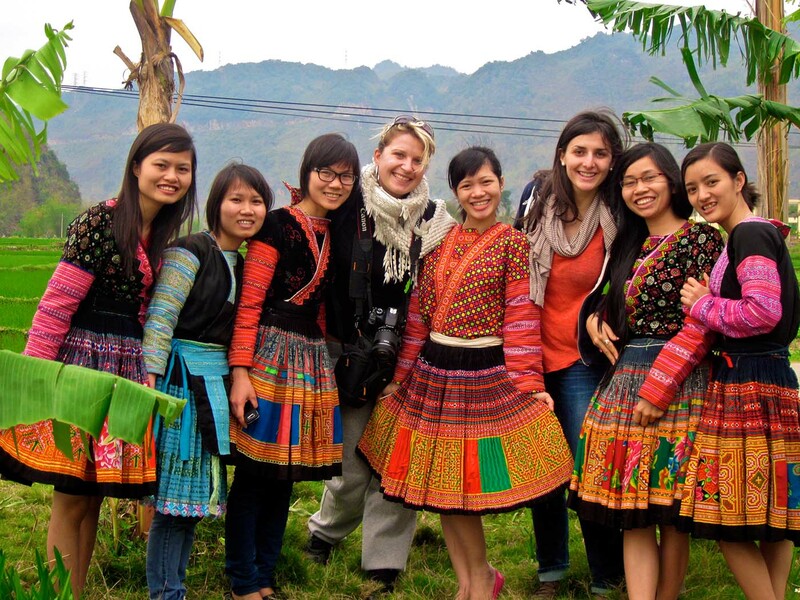 You will trek for one and a half days through villages in Mai Chau and stay overnight in both H’mong and White Thai villages where you will have the opportunity to observe the lifestyle of these minority people. 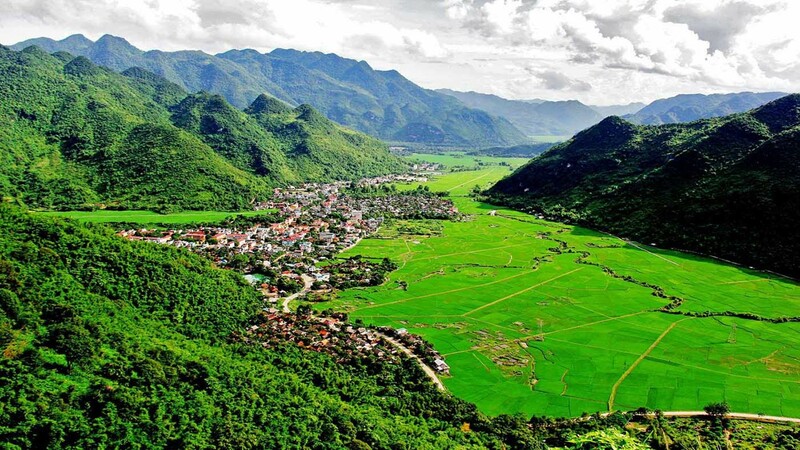 From the mountainous region of Mai Chau, you will travel back to the nation’s capital, Hanoi. 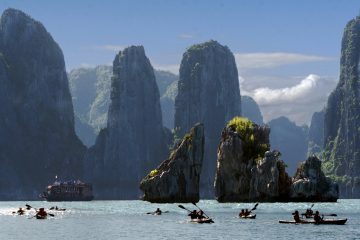 After breakfast, you will depart Hanoi for Hoa Binh Province and the town of Mai Chau. This scenic drive takes around three hours. Along the way, you will pass fields of tapioca and sugar cane, as well as rice paddies. After lunch in a traditional stilt house of the Thai people, you will drive for one hour to Sa Linh Village to begin your trekking. The verdant and rugged mountain scenery, combined with the colorful local population, makes this an unforgettable experience. Today, you will walk along gravel tracks and small paths used by the locals. 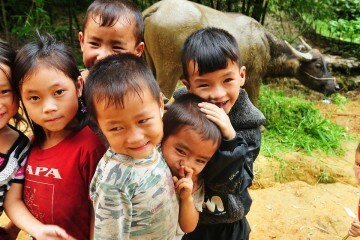 Your destination for this evening is Hang Kia Village, home of the H’mong minority people. Here, you will stay overnight as the guests of an H’mong family in a traditional long house, situated in a picturesque valley of peach orchards. Today, you will get well and truly off the beaten track as you trek through tropical rain forests, using the local tracks and passing through cornfields as you descend into the Mai Chau Valley. 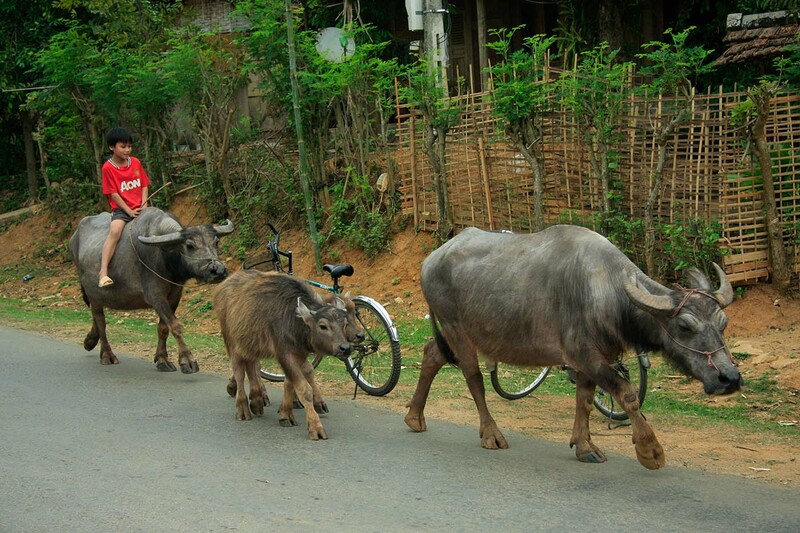 Along the way, you will encounter the local villagers as they go about their daily business, whether it is tilling the fields, logging or herding buffalo. The trek usually takes around seven hours and is quite steep in places. Lunch will be provided en route, and weather permitting, you will have a picnic near a babbling brook at the bottom of the valley. From here, you will pass through several White Thai villages and are sure to attract attention as this part of the country receives very few visitors. You will arrive at Van Village by late afternoon and have time to walk around this charming little village, enabling you to understand a little more about how the people live. 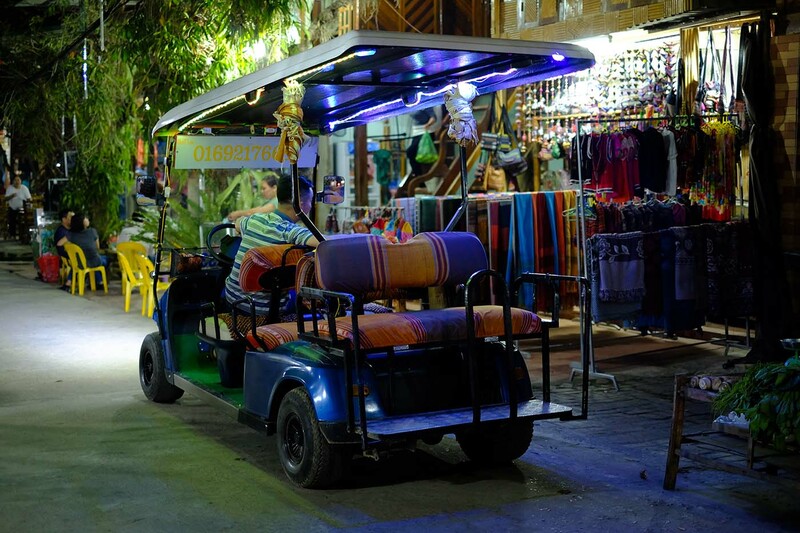 The village is home to the Thai people, and tonight you will be their guests in one of their traditional stilt houses. There, you will be toasted as honored guests and will be able to sample some of their homemade rice wine! This morning you will trek for a couple of hours, passing through several more Thai hamlets. 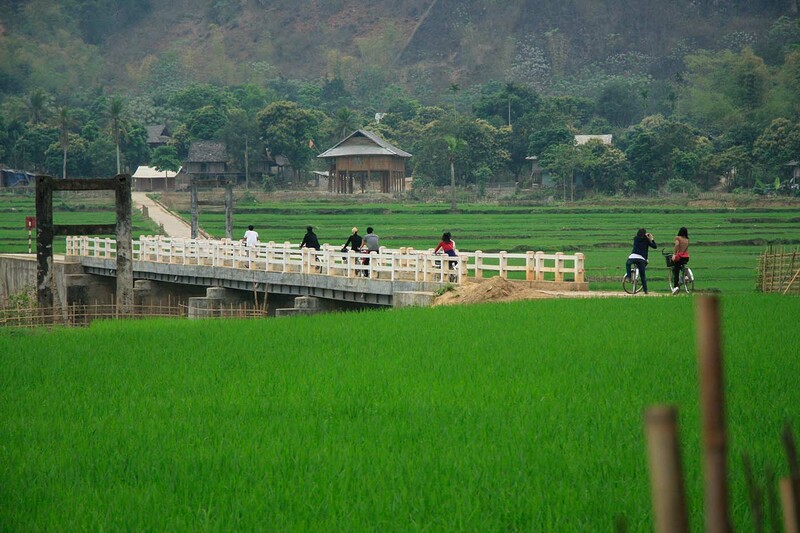 You will walk on the valley floor and be surrounded by rice paddies and beautiful scenery. 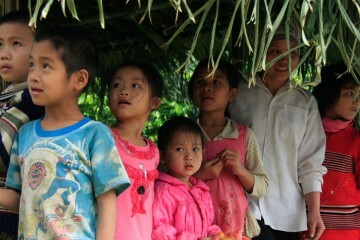 At the small village of Khoe, you will meet up with your waiting vehicle and drive back towards Mai Chau. 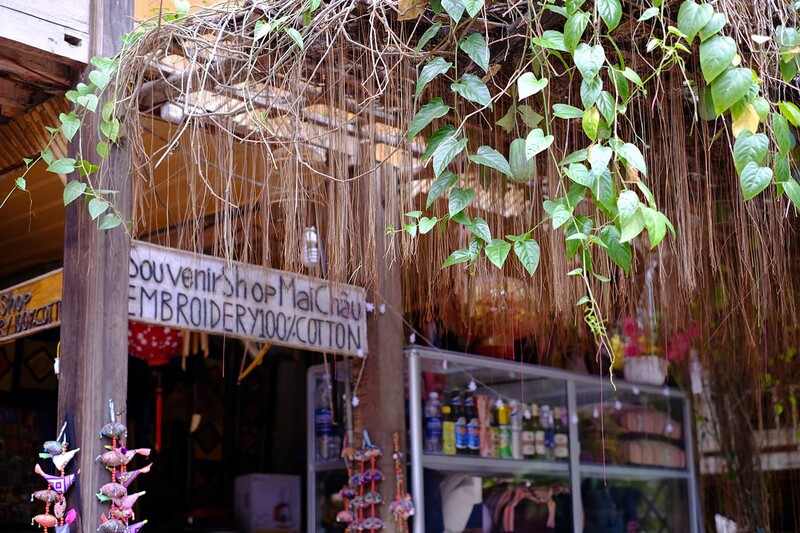 Lunch is again provided in Lac Village and there is also the chance to do a little souvenir shopping before you return to Hanoi. + You will stay in simple homestay accommodation on this trip. You’ll sleep on camp beds in a communal room, so it’s mixed gender and multi-share. The actual homestay facilities can vary as we stay with several different families, but you can expect simple but very welcoming. + This trip includes the active activities of cycling and a 3-hour trek – these activities are possible for most travellers. Good walking shoes and appropriate clothing are recommended. + On this trip it is possible that you will be joined by other travellers, some who may have booked on a longer trip, or even with a different company.